Since around 1165, when the medieval township received its city charter and held its first trade fair—making it the oldest in the world—Leipzig has been one of Germany's most important commercial centers. Between 1949 and 1989, the Leipzig trade fair was an important meeting place for businessmen and politicians from both sides of the Iron Curtain. Leipzig also enjoys a fine reputation as one of Germany’s leading publishing centers. One of the world's earliest books, a commentary on the Revelation, was printed there in 1481, and Leipzig's annual book fair is Germany's second largest after Frankfurt. Leipzig is also proud of its musical heritage, thanks to such famous composers as Bach, Wagner and Mendelssohn-Bartholdy, who all lived and worked there. The Choir of St. Thomas (Thomanerchor), the Gewandhaus Orchestra and the Felix Mendelssohn-Bartholdy University of Music and Theater are some of Germany's finest musical institutions. Leipzig, which lies 121 mi/195 km southwest of Berlin, was the first city in eastern Germany to rise up against the German Democratic Republic in 1989, ushering in the reunification of West and East Germany in October 1990. Today Leipzig's prosperity is boosted by important corporate investors such as Porsche and BMW. 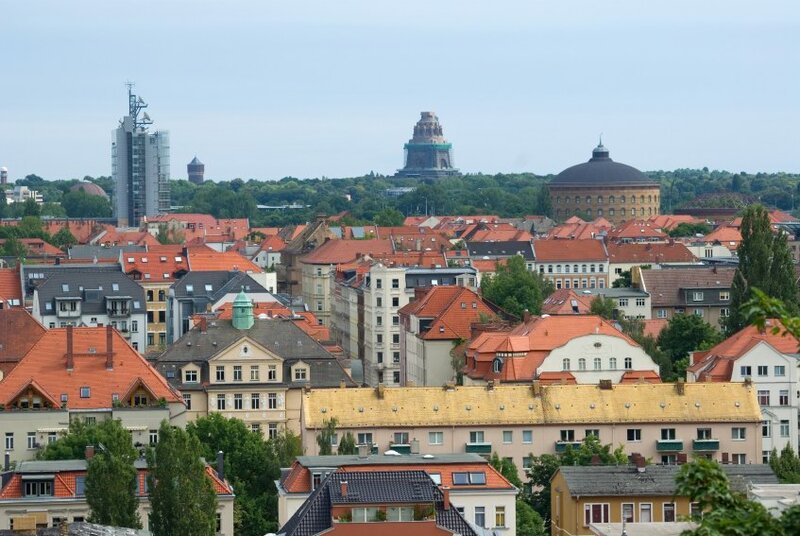 With its affordable rents, a vibrant student atmosphere and a buzzing night life, Leipzig is attracting start-up businesses and creative talents from all over Germany.